Looking to sound a klaxon when your website goes down? Need to start a flashing siren when a sysadmin gets over excited and closes all the ports on the server? 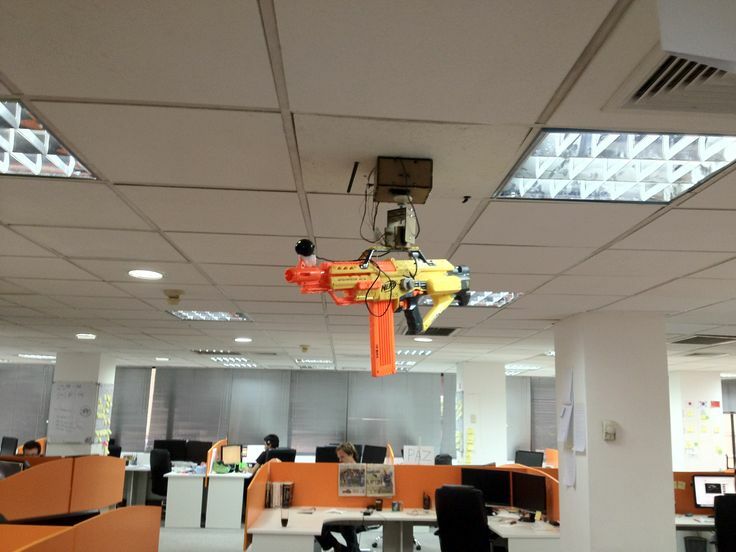 Feel like setting off a Nurf gun turret aimed at that dev who always seems to mess up your Git branches? Good news – we now support WebHooks which can be added to your Notification Rules! Webhooks allow you to build or set up integrations using our Uptime Monitoring notifications. When triggered, we’ll send a HTTP POST payload to the WebHook URL. WebHooks can be used to update an external issue tracker, send messages in a private messaging service or even restart a server. You’re only limited by your imagination! You first need to add your WebHook URL to RapidSpike. You can add as many as you like. In the WebHook Integration section, add you WebHook URL and click “Add”. Go to your Notification Rules in RapidSpike. Open the Delivery Methods tab. Add or edit an existing delivery method. Select the new WebHook integration from the list of options. The next time one of your notification rules is triggered, we’ll hit your WebHook. As with all of our Uptime Monitoring notifications, we group together all the alerts into one notification. This means if a server goes down with several websites and multiple monitors, you won’t have a flood of notifications hitting your WebHook, just one with a big array of monitors.